LA Noire is a unique crime/action/puzzle/thriller/mystery and adventure game mixed all into one and based ( very accurately ) in 1940's Los Angeles. High level summary is that you are Cole Phelps ( Aaron Staton IMDB ) a WWII Marine come home to be a cop! It is made by the popular Rockstar Games, and you can definitely tell as the game certainly has a few similiarities to their other smash hits Grand Theft Auto and Red Dead Redemption. To get you in my frame of mind, for some reason I just have never liked GTA, but I loved Red Dead Redemption, and I”really enjoyed” LA Noire ! I think what I like about games like this is becoming attached to the characters, caring about the story, being curious about the back story, and feeling like I have an overall important purpose. I just beat the game tonight so while it’s fresh in my head I’m going to share my opinions and impressions with you about this game with mostly no spoilers. I don’t give games formal ratings much, but if forced, I would give this a”SOLID B”, and I had a great time playing it and would definitely recommend for gamers that appreciate this genre! A quick note before I deep dive is that upon beating the game I did receive the”Moth to a Flame” trophy/achievement for completing all the Arson Cases. The first thing I will say about LA Noire is that this is not a game for little kids. A majority of the content of this game is absolutely for grown-folk. Yes, we are talking murder, violence, dead bodies, FULL female body shots ( albeit corpses) but”bush and breasts” nonetheless, foul language, and even a handful of racism( used solely to simulate 1940’s racial tension). I’m not a parent, I am”grown folk” so I actually really appreciate the non-mario style play. On some of these cases, if your Grandma walked in and saw the screen, it could make for an awkward conversation.. I’m serious. Something I want to clear up right now, is that this game is NOT Heavy Rain. It has a few ballparks similarities, but the gameplay and overall experiences were very different between the two games. Heavy Rain was an amazing”Experience”, like playing your own virtual reality game, totally different STILL than any other game I’ve played. There are some tense moments in LA Noire, but nothing as tense as Heavy Rain! If you spend the time, you will beat this game, and it doesn’t take a lot of hours depending on how hard you go. 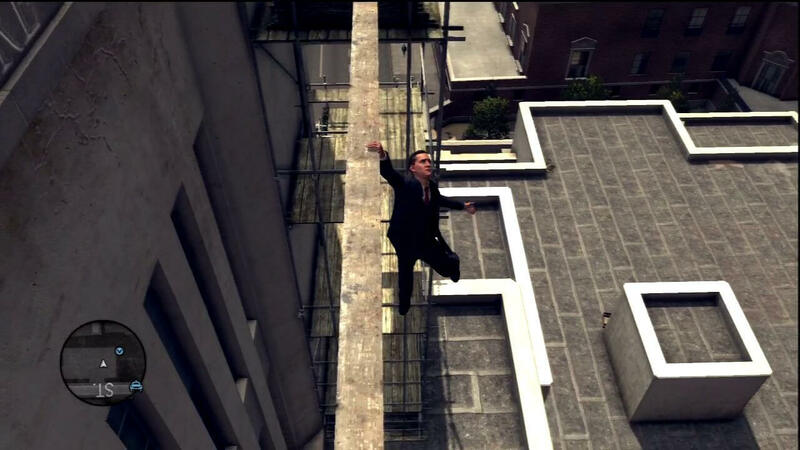 In general, the game will guide you through the main difficult decisions, locations, and”clue trails”. I prefer this, because there are plenty of side quests, hidden cars, and other objects to keep you busy. So I like that it steers me where it wants me to go, yet also allows me to delay the main story with plenty of alternative objectives to keep the game going ! 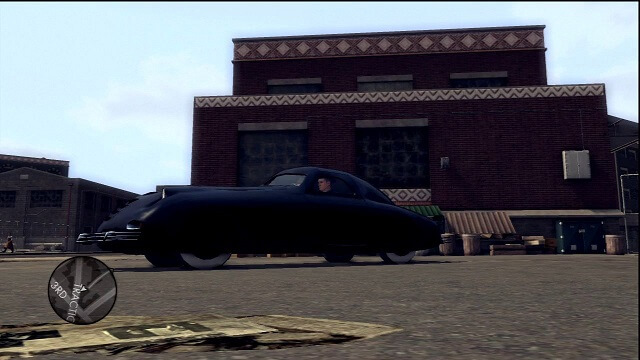 LA Noire Hidden Car Phantom Corsair MY FAVORITE! I don’t like to talk about graphics much, because now-a-days I consider the graphics of most new releases really good and this game is no different. The game boasts a new digital facial re-creation technology and all I can say is that these people look real. The cars look awesome, the buildings impressive and the hot german chick Elsa Lichtman ( Erika Heynatz PHOTO ) is totally hot in the game and real life. I would definitely take her for a ride on my motorcycle. A tiny spoiler is that I recognized Matthew Parkman(that chubby psychic dude from Heroes) immediately. He sneaks in for one of the cases and you can tell it is him easily ! So, this should be no secret, the graphics are”very damn good” in every aspect. As you can probably tell, I had a great experience playing LA Noir. A few things bugged me about the game. First was the reliance on the subtle audio clips. After a while, and early on, it gets hard to even hear the noises. I have a decent audio setup, and while playing this game, I had to CRANK THE VOLUME to ensure I heard the audio clues. Otherwise you could miss important clues, or waste time walking around looking for a tiny matchbook. The main issue is not that sounds are important, it’s that the important sounds mix in too much with the music and other unrelated sound effects. I would almost prefer an airhorn to a sometimes barely audible”chime”… It will make sense to you when you get this game. 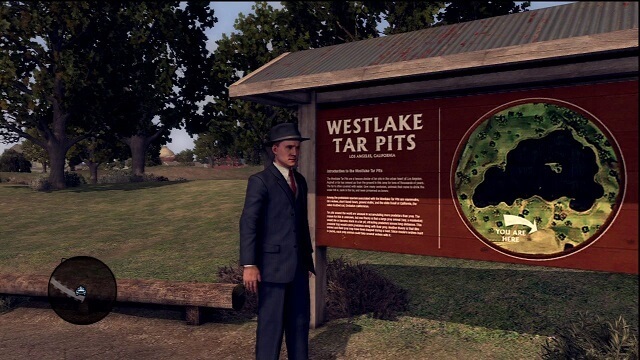 A second thing that bugged me during my game and on my way to beating L.A. Noire is that I got tired of picking up junk clues. Useless beer bottles, and that”diablo” liquor bottle just got annoying after a while. I think just a few less totally useless clues that you have to grab, rotate around, and then learn you wasted your time would better. Thirdly, really dark games bug me sometimes. This game is very realistic and while not”excessively dark”, I found that some scenes/areas/buildings were difficult to navigate, hunt bad guys, drive, and find clues on occasion. I don’t mind a dark scene, but I don’t like to waste time simply trying to find a phone that I can see on a mini map or a pair of boots in a corner. I think this could be tweaked with some gamma settings in the options menu ARGH! Music / Audio cues are very important. Pay attention early on when they teach you the significance of noises and music clips! People are friggin liars and hold information a lot ! People’s faces are normally VERY accurate. Watch their face and mannerisms closely when questioning a witness or suspect. Grab a few hidden cars.. No major strategic advantage, it’s just more fun to drive some of these awesome 40’s cars. Use your reality TV Skills. Think like a TV Cop! Find evidence for motive, opportunity, and the weapon before charging criminals. You *should* know when someone is lying. You will have the evidence to prove it. Don’t accuse them of lying if you don’t have evidence. Find, read, and watch the backstory when you find Newspapers !! Mix in some side quests EARLY. These help you gain experience, which gives you”intuition” boosts! Very helpful all game long..
Don’t give up when tailing suspects on foot or by vehicle. Sometimes it’s tricky, but you will improve and it’s more real gameplay. Yes I recommend L.A. Noire, it’s worth it. A fun, and unique crime thriller but it is for adults, probably not too appropriate in the hands of a 12 year old. This game can be beat in only a few hard-play-days if you get hooked, but with plenty of side-quests it will last long enough. If you go really quickly through the game, then you can just go trophy/achievement hunting and then go trade the game back in. If you’ve played the game already, leave a comment below I really want to talk to someone about it ! Check out one of my favorite cut scenes from very late in the game. It’s a light spoiler, but only if you know what’s going on which you don’t yet. I think it’s safe to watch, won’t ruin anything.